Now that September is closing in on us and my summer holidays are behind me, I’m looking for things to do with the sunny days remaining. Last week, Rebecca posted about the upcoming 2nd Annual West End Dog Show in one of Vancouver’s quaintest neighbourhood (and my old stomping grounds). Dogs and their owners will be getting together this Saturday, August 22nd between 11:00 a.m. and 4:00 p.m. at Nelson Park to celebrate the unique bonds we share with our furry friends. The day will feature a doggy fashion show, a tail-wagging contest, softest dog contest, vendors, animal hospital representatives on hand to answer your questions, treats for the pooches and much, much more. As usual, the off-leash dog park will be open and the adjacent farmers’ market on Comox Street will be buzzing with local produce, baked goods and specialty items. For more information, please visit the 2nd Annual West End Dog Show’s website. If a dog show isn’t enough, throw a meet-up into the mix. 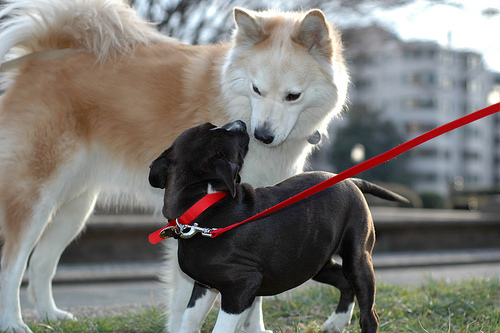 I can’t explain it, but dogs seems to know and be drawn to others of their own breed. Jordy couldn’t care much one way or the other for other dogs, but when a pomeranian catches his eye, mommy no long exists. That said, one of me and Jordy’s favourite doggy shops, Bow Wow Haus, is holding their first-ever pomeranian meet-up on Friday, September 4 at 6:30 p.m. at their store (1340 Davie Street [map], between Jervis and Boughton). 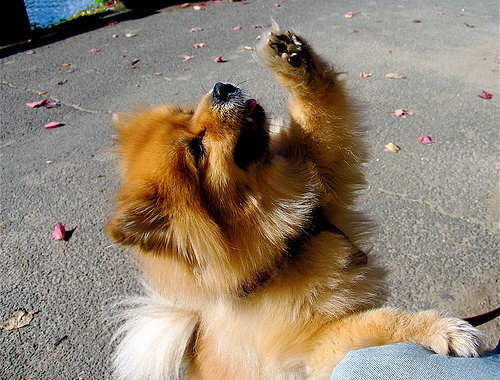 It’s an opportunity to meet other pomeranians and their owners and allow your dog the socialization they need. Make sure to follow Bow Wow Haus on Twitter to stay in the loop about this and other doggy meet-ups. I would probably stop by during the event to see all the dogs if it wasn’t for WordCamp Fraser Valley on the same day. Oh how I want my own doggie!! Charley wants to come too! @raymi – Meh, you and Cid have got the market cornered on that one. last picture is too cute for words!